Do you suffer from obesity or a weight-related condition? Dr. Ravi Rao and his team at Perth Surgical and Bariatrics can help you at one of several locations in Western Australia including Perth. 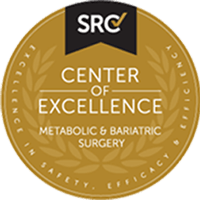 We offer weight-loss procedures such as gastric sleeve, SIPS bariatric surgery and Roux-en-Y (RNY) gastric bypass including removal of lap band. Contact us to find out what we can do for you. SIPS is an effective weight loss procedure. Certainly, the weight loss results are encouraging. Designed to reduce the amount of food you are able to eat by cutting away a part of the stomach, gastric bypass is a permanent procedure that helps patients achieve and maintain weight loss goals. Dr. Ravi Rao is a pioneering bariatric surgeon with remarkable record of success in weight-loss, general surgery and revisional procedures. Dr. Rao leads our team and personally ensures that every patient at Perth Surgical & Bariatrics receives world-class treatment, safety and care. Dr Rao in open competition with the American fellows availed a formal fellowship position in Advanced Laparoscopy and Bariatrics through the Fellowship council of USA in Atlanta Medical Center, Georgia. Dr Rao was mentored by renowned Dr Titus Duncan, MD, FACS, in minimal invasive general and weight loss surgery. His bariatric scope of practice includes laparoscopic sleeve gastrectomy, gastric bypass and revision surgeries. Dr Rao also did a post graduate fellowship in Bariatrics at Gosford NSW. Support groups are an excellent outlet for patients to talk about their issues with people who know what it’s like. Patients help keep each other motivated, celebrate small victories together, encourage one another and provide perspective on the everyday successes and challenges that come with life after weight-loss surgery.